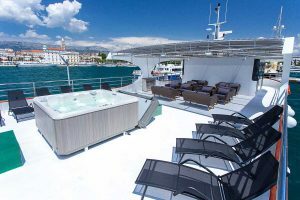 MV My Way is a brand new deluxe vessel being built for the 2018 season. 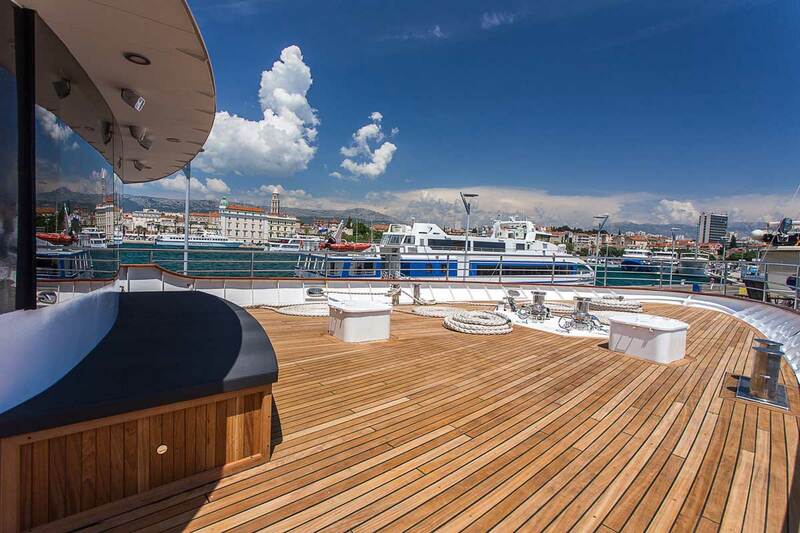 With sleek design and great amenities it will provide a spectacular way to cruise the Adriatic. This ship features 21 spacious and comfortable cabins for a maximum of 40 passengers. 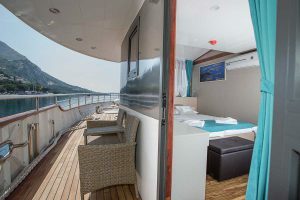 All cabins are fully equipped with air conditioning, safe, wardrobe and a porthole or window. 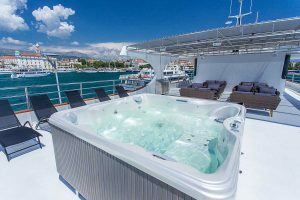 Bathrooms are equipped with toilet, shower and wash basin. 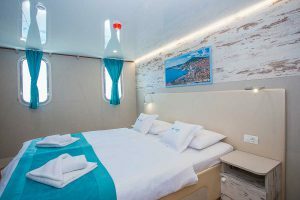 Your cabin will be serviced with bed linen and towels changed mid-week during your cruise. 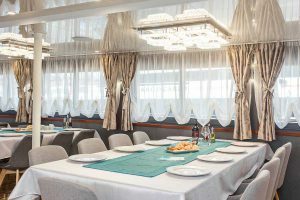 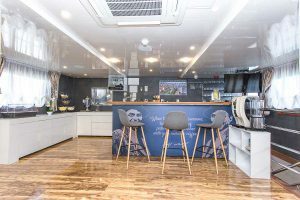 The public areas of the ship include a large, fully air-conditioned restaurant which opens to ample, and comfortable, outdoor seating. 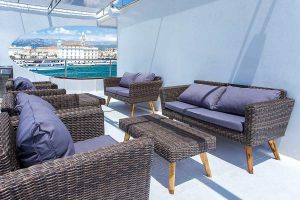 The partially covered Sun deck features comfortable deck chairs and provides the perfect place to sit back, relax, and take in the panoramic views of the Adriatic. A swimming platform at the rear provides easy access to the water. Beach towels are available for hire (5 Euros for a week).